The A-Team in the Studio! 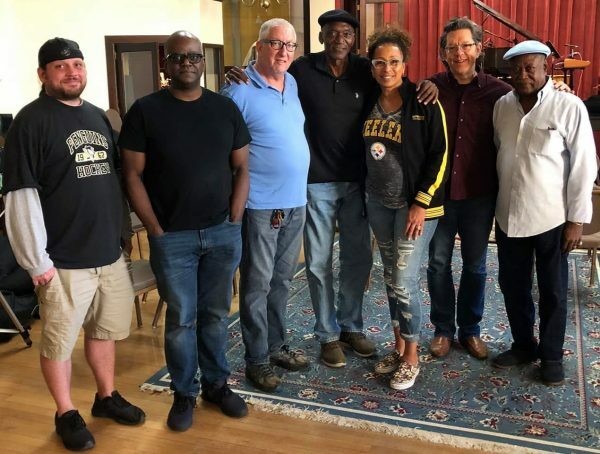 I have been producing actress Tamara Tunie’s new CD for the last several months. Back in October, we start recording basic tracks at Heid Studios in Aspinwall. We spent three days with what I can only call the A-Teams of rhythm sections. The first two days I had Roger Humphries on drums, Jeff Grubbs on bass, George Jones on congas, and Eric Suesoff on guitar. The third day I had James Johnson III on drums and John C. Hall on bass. Everyone brought their special beauty to the music. I am so lucky to have these people working with me. Pinch me! Tamara is a joy to work with and brings real emotion and her soul to things. I am blessed to be working with her. Heid Studios is a wonderful place to record and has grown into a wonderful facility. The Steinway that they have was recently rebuilt and is a wonderful instrument to play on. Jim Barr is a great engineer and a total professional to work with. Coming up in the near future I will be adding horns, additional percussion, and synthesizer parts. Then on to the mixing and mastering process. I love the process of envisioning a project, organizing the assets, and picking the colors that will make up the final painting. It is a very satisfying and rewarding thing to do. I think that the final product will be beautiful.